Now in a sleek new colourway, these leggings offer a feel-good fit with super-soft jersey stretch fabric – a real rest day must-have. Great for lounging, but can't be worn in public! Got these leggings due to the low sale price, and as part of my first MyProtein order. Ordered them in L as I'm a UK 12-14 in almost all gym-wear brands. Fit was great, thick waistband so no cutting in, stretch of the material round my thick thighs was great, and the length of the leg was just right for me and I'm 5ft 7". Tested these out for "squatproof-ness" and found that they are almost as see-through as Primark cheap jersey leggings. Again, due to the low sale price, this doesn't bother me at all, and the fit is so nice and comfy, I'll be wearing these with long jumpers as loungewear. 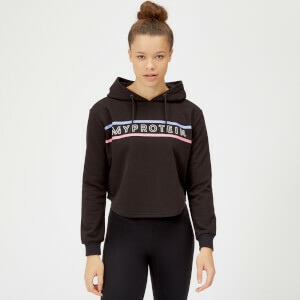 However, if you're purchasing these for the gym, or plan to be wearing them out in public, wear large full black briefs underneath, wear longline tops to cover the behind, don't attempt any squats or deep stretches, or ensure you are of the build that has a very narrow bottom so as not to stretch the jersey out too much. Comfy- but not squat proof! I bought these to match the jumper I had previously purchased and absolutely loved! However when I tried these on I was disappointed to discover that these aren't so much workout leggings and loungewear. The material feels like the legging material from primark leggings- and it is just as thin! If you intend to do any type of squatting or actual exercise in these I would suggest wearing a long top or shorts over the top- unless you want people to see what you had fro breakfast! On the plus side, they are super comfy and the colours and style are fab, especially with the matching hoodie, i just won't be wearing them again outside the house! I know this leggings are made of jersey fabric but from the price point they were on I was expecting better. The fabric is not so great it looks very flimsy and fragile. The waist bang it not so great either. The design is good but I would love to have this leggings in a more high quality fabric.